Home/Adhesives News/What is the safest and easiest method to install Skirting, Capping and Coving? UZIN understands not only the time restraints installers sometimes find themselves up against but the health & safety risks they can also be exposed to when doing such jobs as installing skirting, capping & coving. 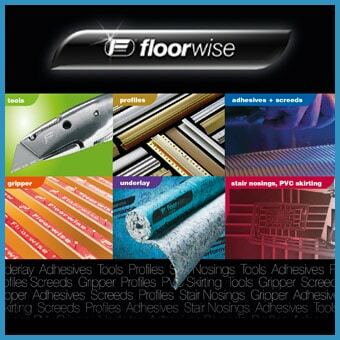 The majority of the trade currently still use solvent based adhesives. This is understandable because the adhesives perform well providing a quick and secure bond. However, due to the ever-changing health and safety rules and more call for certified environmentally friendly adhesives is there a better alternative? The safest and easiest method to install skirting, capping & coving is with skirting tapes such as UZIN U-Tack, a superior multi-purpose contact tape that can be used to install a huge range of lino, vinyl and PVC products. UZIN U-Tack skirting tape does not become brittle, providing a secure and extremely durable bond. The installation is also quicker, cleaner and most importantly solvent free. The product, therefore, does not require any special PPE (personal protective equipment) or work protection measures. With solvent-based adhesives, you would need to protect your skin and airways from exposure of the adhesive and its fumes. Many solvents based contact adhesives are also highly flammable whereas with skirting tapes there are no explosion risks for the installer during application. Due to the health and safety risks for both installers and clients, the use of solvent based contact adhesives is now becoming banned from hospitals and other sensitive environments. We see this trend becoming more mainstream as legislations increasingly aim to improve the safety of products and create a healthy work environment. Some skirting tapes such as UZIN U-Tack have been awarded EC1 Plus® certification providing the highest possible protection against emissions and guarantees excellent indoor air quality. Certified products are guaranteed to contain no solvents, resins or softeners and meet the guidelines of sustainable building initiatives such as LEED [Leadership in Energy and Environmental Design] and BREEAM [Building Research Establishment Environmental Assessment Method]. From a time-saving point of view, on average using a skirting tape to install skirting, capping and coving can be up to 3-4 times faster compared to your average solvent based contact adhesive. Skirting tapes are also very easy to use and can be simply rolled onto walls. Skirting tapes are also very clean and unlike solvent-based adhesives do not leave messy residues on the floor or wall when installing. To summarise skirting tapes are the safest and easiest method of installing skirting, capping & coving. Certain skirting tapes can be used to install textile vinyl or linoleum floor covering strips, flexible vinyl skirting and cove formers. Skirting tapes such as UZIN U-Tack are the perfect solvent-free solution for the installation of skirting, coving and capping.